Shana Carman is the Gift Shop and Housekeeping Managers at Heart of Texas Camp & Retreat. She joined the team in May 2018, after serving at the camp as a volunteer in April of 2018. As managers of these areas of the camp, she oversees the daily tasks at the Gift Shop and any housekeeping issues that may arise. She ensures that Gift Shop and the cabins are clean and tidy for each guest who comes to visit our camp. 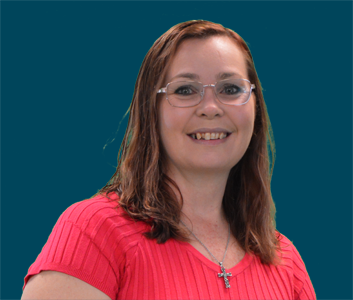 Shana has always enjoyed helping others in any way possible. After completing her education, she worked for H & R Block, but felt a calling elsewhere. Her husband and she found a great place to serve this calling through an RV Ministry. Through this ministry, GOD was preparing them for service in yet another capacity. Shana is an alumnus of Aurora Central High School, Clovis Community College, and University of Phoenix, where she earned a Bachelor of Science in Accounting. She followed her husband while serving in the United States Air Force for Twenty-three and a half years. She has been married to Robert Carman for over thirty years and they have three children and now two wonderful grandchildren. Shana’s talents include crocheting, sewing, crafting, and the occasional painting. She has some knowledge of computers and a love for the outdoors and helping others in needs.